Sauté onions briefly in olive oil until tender. Add mushrooms, stir and simmer briefly until they lose some water. Add wine and sauté over high heat for about 15 minutes. Add the cheeses and simmer over low heat, whisking constantly, until cheese is melted. Sprinkle the sauce with thyme and pepper, mix well. Cook gnocchi according to manufacturer's instructions, drain. 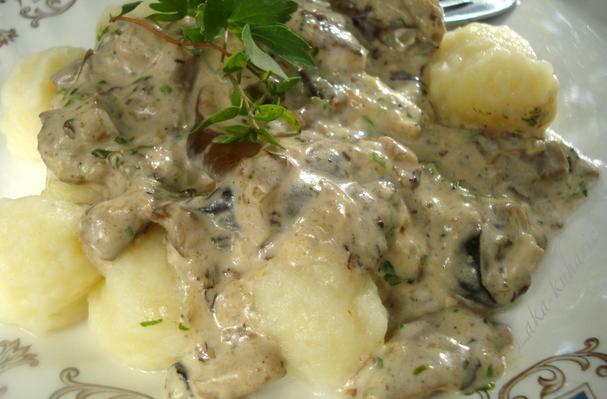 Pour mushroom sauce over gnocchi, serve with green salad and a glass of white wine.